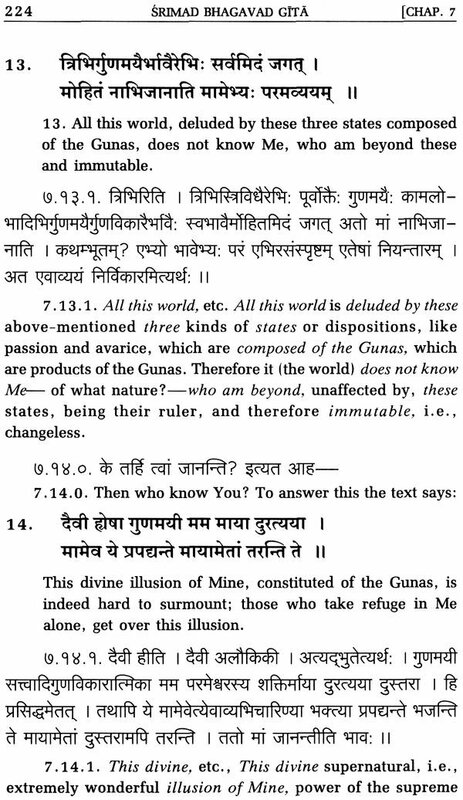 Than the Gita no better commentary on the Vadas has been written or can be written. 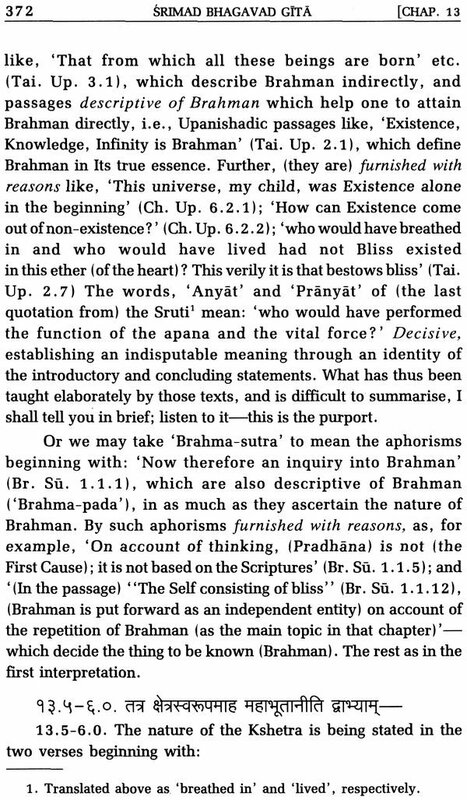 The essence of the Shrutis, or the Upanishads, is hard to be understood, seeing that there are so many commentaros, each one trying to interpret in his own way. 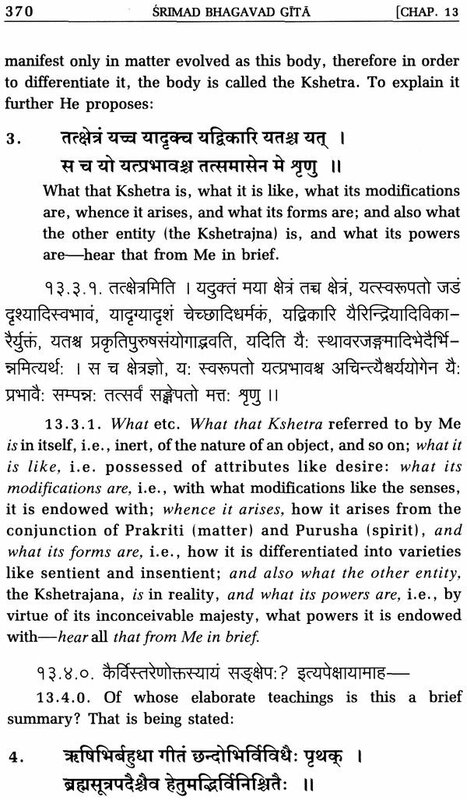 Then the Lord Himself comes, He who is the inspirer of the Shrutis, to show us the meaning of them, as the preacher of the Gita, and today India wants nothing better than that method of interpretation. 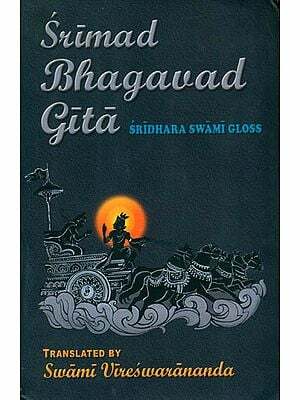 The Bhagavad-Gita is a most, if not the most popular Hindu Scripture. 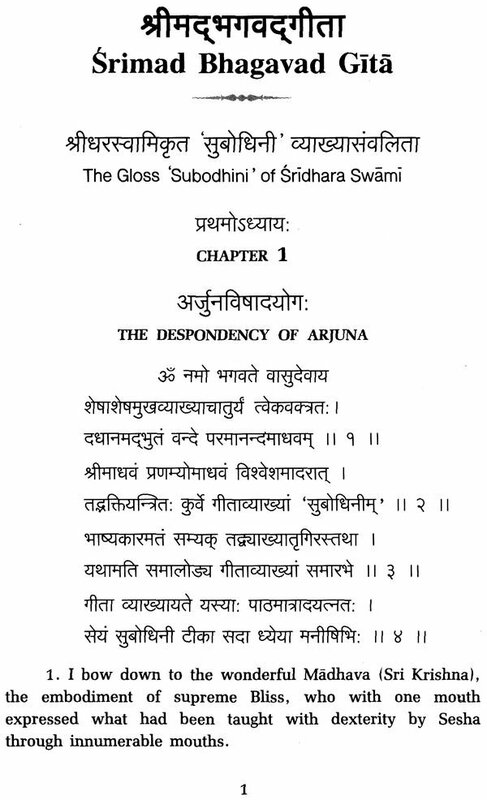 It is regarded as one of the three scriptures, the other tow being the Upanishads and the Brahma-Sutras. 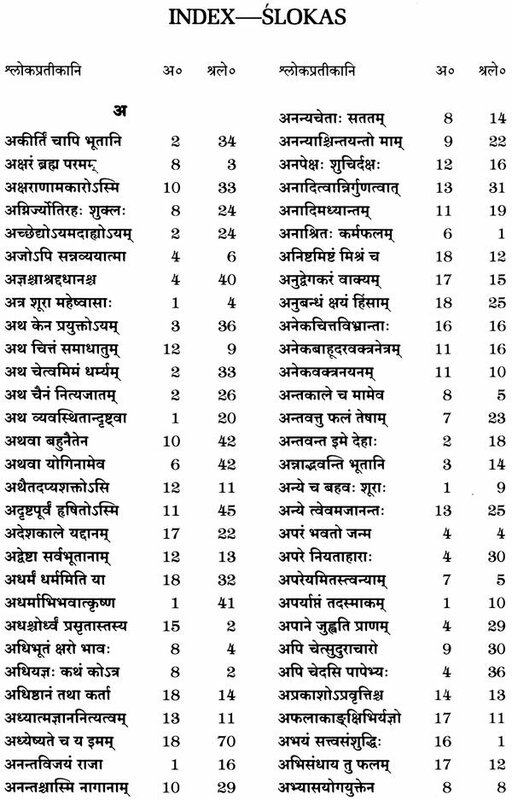 All the great Acharyas or founders of new sects among the Hindus have written commentaries on these three. 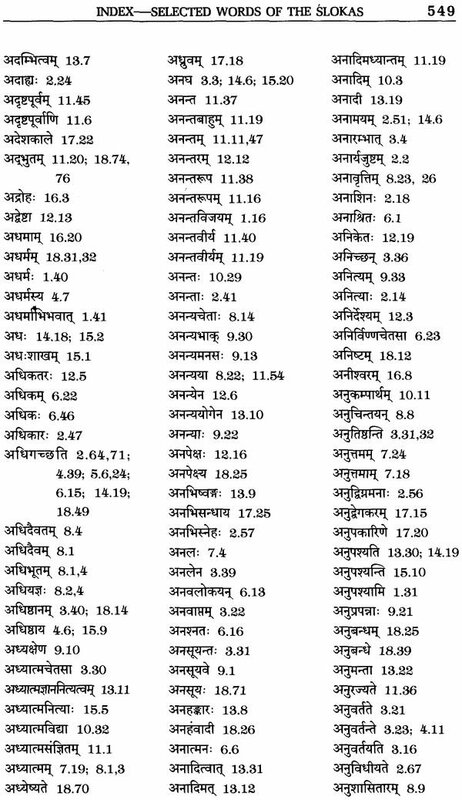 Among them the Gita has the largest number of expositions, for a good many of the followers of the different sects have written glosses on the main commentaries of their great Acharyas. 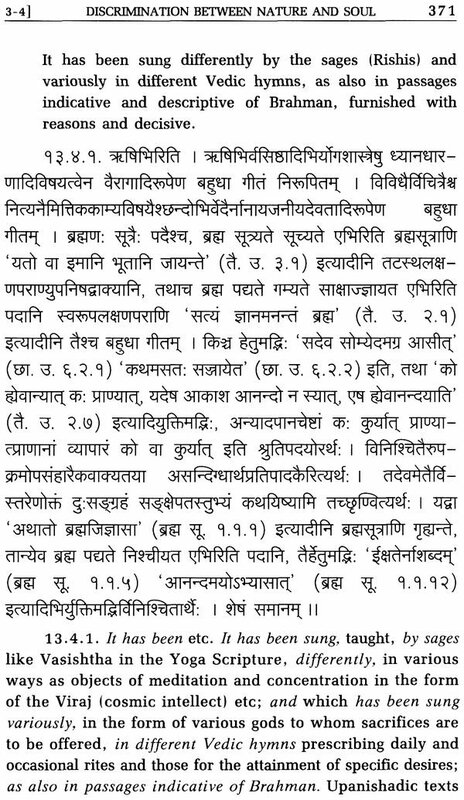 It can be stated without any hesitation that there is no other Hindu Scripture which has been so frequently commented upon. 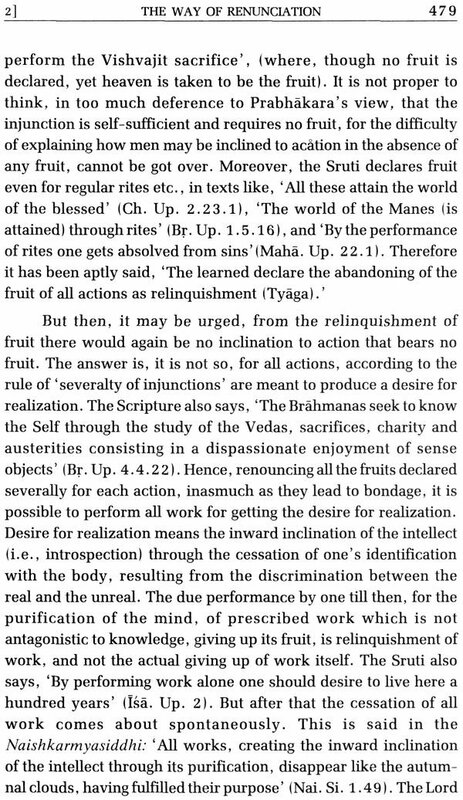 - " I know the true teaching of the Scriptures, and so does Suka. 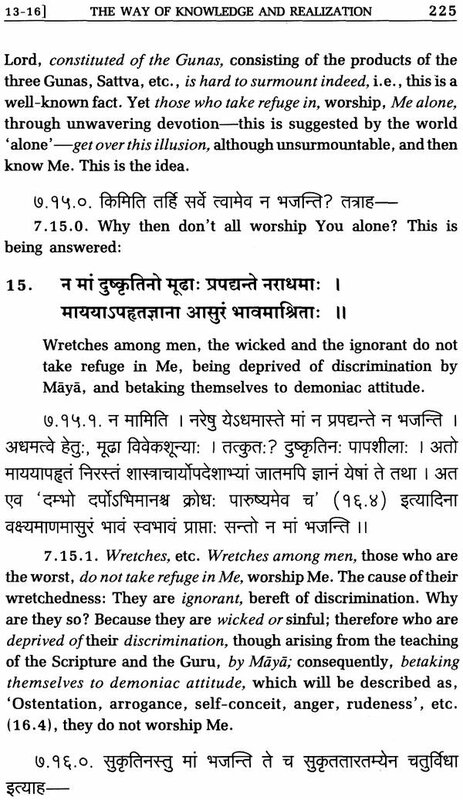 Vyasa may or may not know. 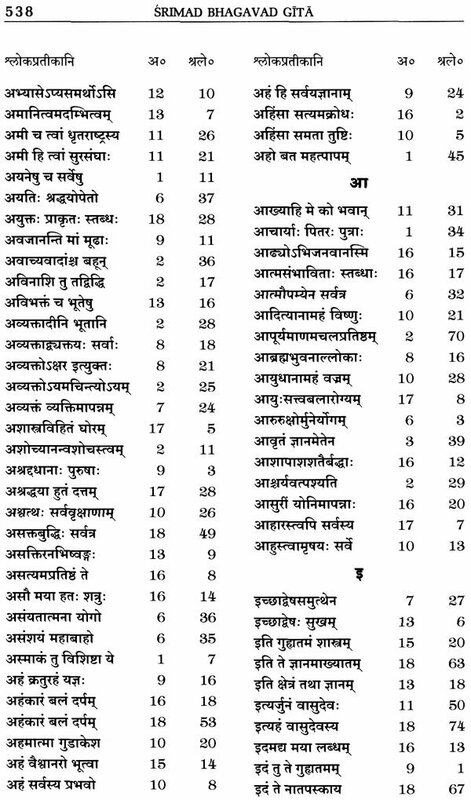 But Sridhara knows everything through the grace of the Lord Nrisimha." 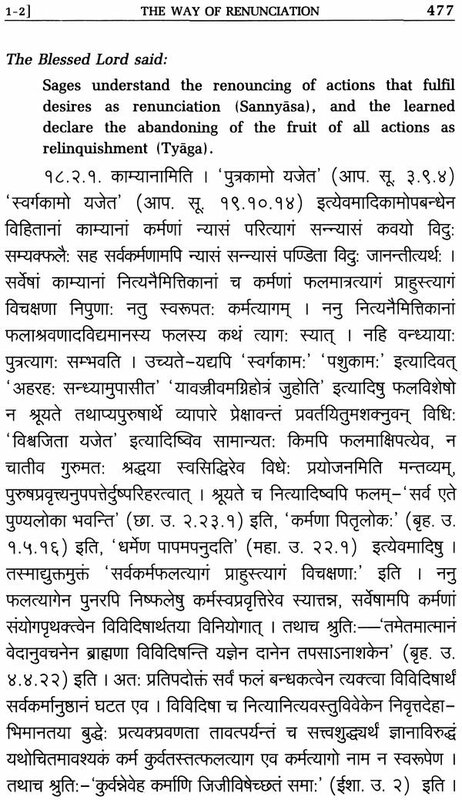 After that the orthodox section withdrew their objections. 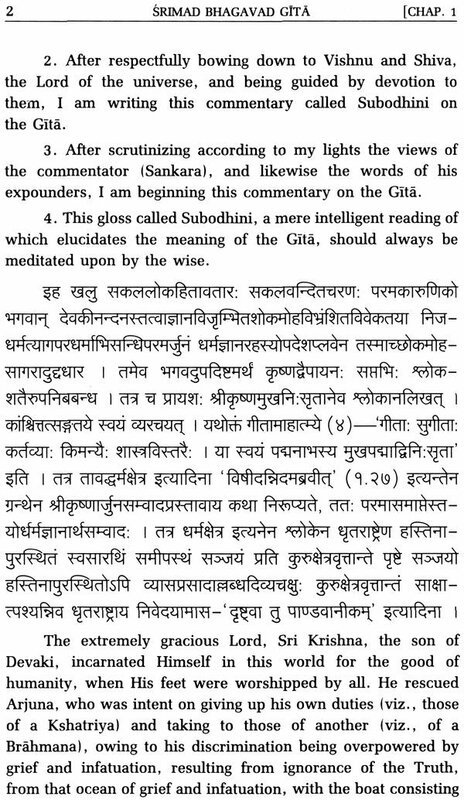 Sridhara's commentary on the Gita though well known in Sanskrit, is not available in English, We have therefore translated it to make it accessible to the English-knowing public. 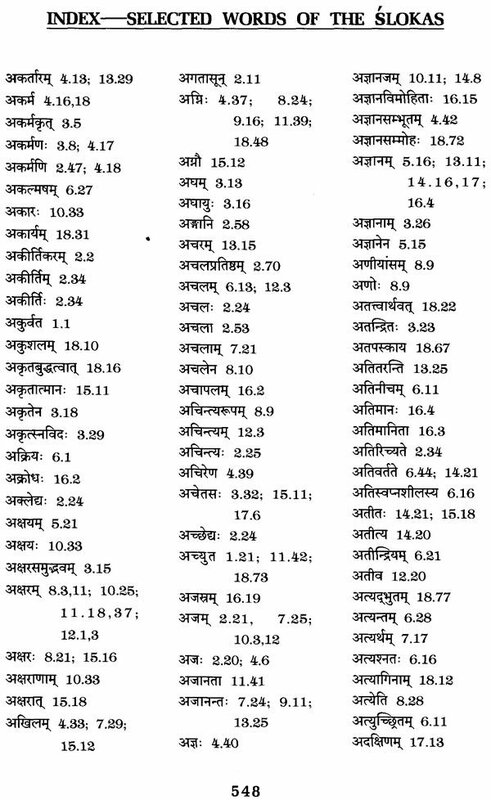 We have followed the text of the Ananda Ashrama edition, except in a few places, where the text of other editions adopted from various recensions, has been found more satisfactory. 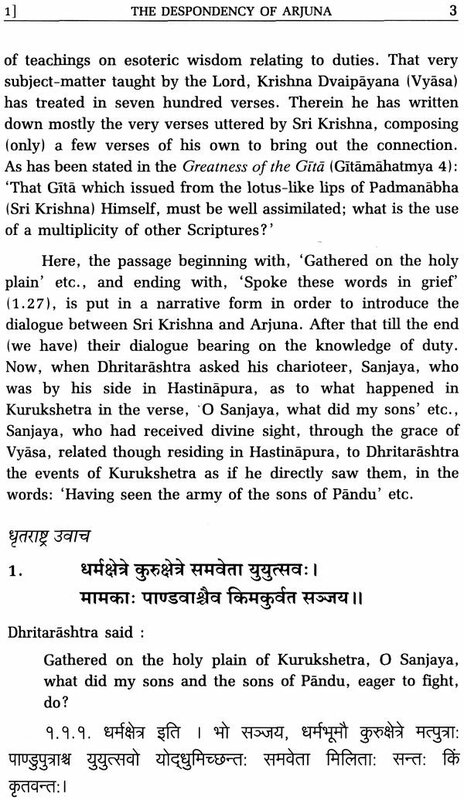 The words of the translation of the Gita text have been italicized in the commentary.